Developing an efficient, connected experience for Ramp Service Agents. Alaska Airlines is in the process of replacing current baggage scanning equipment with updated hardware and software. The goal of the upgrade is to increase the efficiency of the Ramp Service Agents and enhance the ability of the system to track baggage throughout the customer journey. The plan for upgrading equipment requires replacing the outdated Motorola MC65 with the Apple iPhone 6. The iPhones will be placed inside a protective case that also includes a scanning device. Initial research for the project was done by observing and interviewing Ramp Service Agents (RSAs) as they loaded bags onto several aircraft. Task flows and wireframes were then created and discussed with the product team, followed by prototypes that were tested by RSAs. Final recommendations were then made before preparing assets for development. 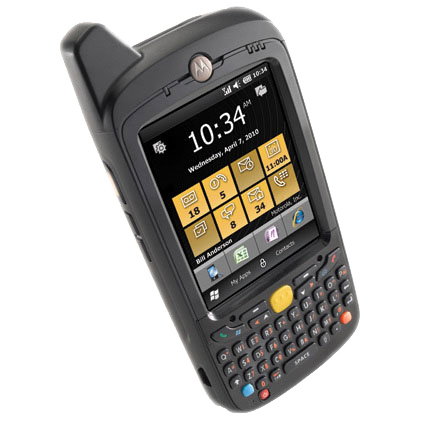 The Motorola MC65 is used in combination with outdated software. The benefits of modern smartphone technology cannot be utilized until the equipment and software are updated. Alaska Airlines wants to replace the MC65 with the iPhone 6. Through a series of field observations and interviews the design team has been able to learn a great deal about how RSAs work and what motivates their processes. Depending on the aircraft, anywhere from 1-3 Agents may be involved in loading and scanning bags onto a plane. Most RSAs using the current scanner must keep track of the bag count in their head as they are loading. These observations are just small samples of the information gathered during our research. After identifying the current scanning process as it relates to the MC65, I looked at a variety of options for improving the process for both clarity and simplicity. It quickly became apparent that there were a number of redundant tasks associated with the current scanning interface. For example, after selecting between 3 potential options, the interface asked the user to “select” the option that had just selected. Essentially “selecting” the selection on multiple screens. Through several user-interviews and observations, the design team gained a better understanding of how RSAs scan and load bags onto the aircraft. After identifying which pieces of information were most crucial to their individual duties, I was able to begin developing an information structure focused on the most important pieces of information first. I was then able to develop a hierarchy based on the needs of the Ramp Agents. After creating an initial set of wireframes, I was able to get feedback from team members and Ramp Agents. This feedback allowed me to keep the things that were working well and revise and simplify the pieces of information that mattered most to the RSAs. Once the wireframes were finalized, I began connecting things in the form of an interactive prototype. Because I was able to test this with users on the final device, and in person, I chose to use the prototyping tool “Pixate” to better capture the micro-interactions and animations available in an iOS environment. The prototype was tested with 8 RSAs who provided valuable feedback. Specifically, we discovered that “Pits” are not numbered on all aircraft. On smaller aircraft they are referred to as “fore” and “aft” pits. Based on feedback from RSAs, revisions were made to the wireframes, and the skills of a talented visual designer were employed. This helped the final prototype achieve a high fidelity and gave the users a close approximation to the final application. The final prototype was tested with users and had minimal revisions. At this point the visual designer was ready to begin preparing assets for the final development of the Ramp Scanning Application.